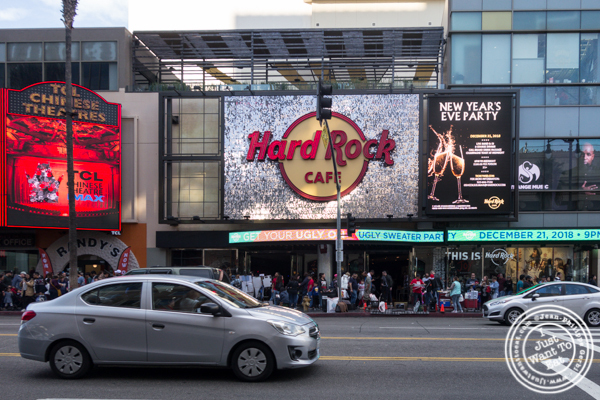 Hard Rock Café is the quintessence of Americana: Rock, burgers and shakes are what comes to my mind when I think about this place. It is a fun place for sure that mesmerize amateurs of music, going around the dining room to look at some of the artifacts being a must do before or after a meal there. We went there with our friend Amy and her two kids, Bodie and Jaxon as we met in LA. It was that or Umami Burger that unfortunately closed in NY, but was further away and it was already late. The restaurant was crowded, with music in the background and video clips on the small screens that were on the wall next to the booths where we got seated. Food wise there, there is no surprise as the menu is identical everywhere (unless you go abroad, like I did in India, where beef is replaced by buffalo). Jodi was really happy to see that they added the Impossible Burger as a vegetarian option but I admit that no one has been able to make it look as good as Saxon+Parole: it was a bit dry and these cheese was not melted enough. On my side, I went for their original legendary burger, a cheeseburger topped with bacon and a crispy onion ring for a little crunch and greasiness that was juicy and tasty (I hate when the meat is so seasoned that you do not taste it). 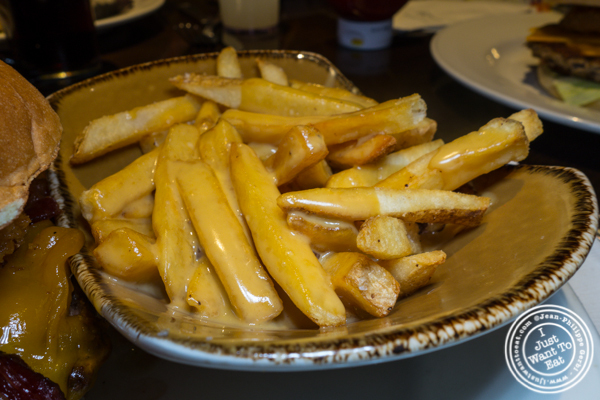 With that, I got Guinness beer cheese fries that were quite good and a bit addictive, as the cheese did not taste like the process products lots of restaurants use. 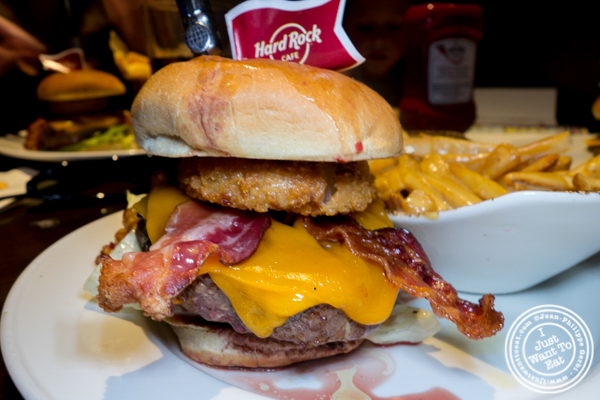 Hard Rock Café is a classic, a safe choice and a crowd pleaser. So if you are not sure where to go, do not hesitate!